Clementine from Awesome Blossom must read minds. 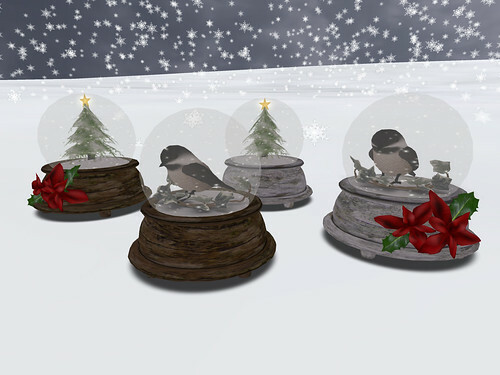 I was just recently thinking I haven't seen much or any snow globes in SL and ta-daa she made some. These cute snow globes with color changing stands are today for 60 L$ on Super-Bargain Saturday. 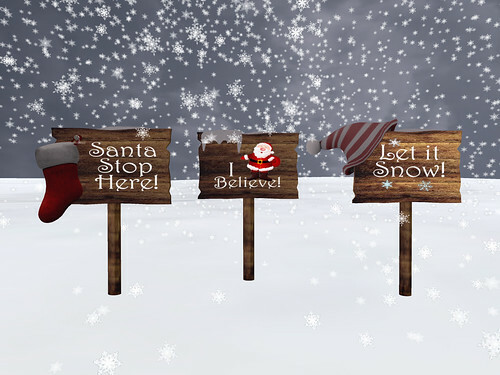 And if things weren't too cute already, Clem is giving this pack of signs as a Christmas group gift. Get yours, here's a taxi to the store!